Trachelium is colorful filler used to complement wedding centerpieces and bouquets. Its unique texture has blossoms that are dome-shaped that appear a few inches across and contain little tubular flowers. It resembles allium somewhat. It makes a great complement to your floral decorations. It can last up to 10 days if properly watered. The Trachelium flower is an unsung hero of flower bouquets. 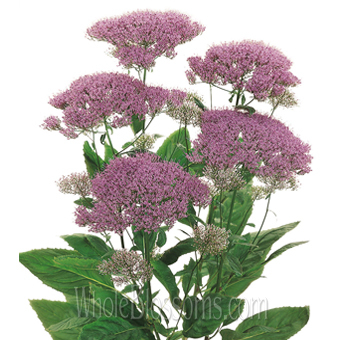 Trachelium is used to complement other flowers in bouquets & centerpieces. They are also called Throatwort. They’re not always recognizable because their form is like many other flowers. They often get overlooked due to flowers like Baby’s Breath and Delphiniums. But the Trachelium flower is a sweet and useful alternative to other filler flowers. They play an essential role in flower arrangements because of how they add depth. These small flowers are very pleasing to the eye. The Purple Trachelium flower is very famous, but they come in other colors too. The Trachelium flower is native to Portugal and the surrounding Mediterranean regions. 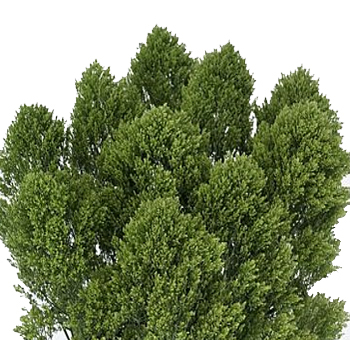 It grows in clumps and has a fluffy look. The Trachelium flowers bloom in summer and autumn. But they are available at florists year-round. There is an abundance of flowers in each cluster of Trachelium! A group can grow as large as to measure 9 inches in width. Each flower has fivepetals and resembles a bell or trumpet. This is not apparent from afar because the flowers are tiny. The stamens protrude out of the flower. They have stems that can grow till 28 inches long. They mostly grow circular or in a mat. It is possible to find these flowers in many shades of color, like green, white, purple, and blue. They also last very long, up to 10 days if taken care of. 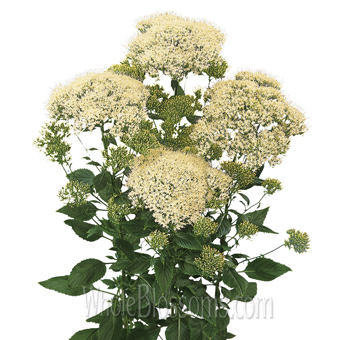 The Trachelium flowers are the perfect filler flowers in bouquets. Most commonly in weddings! They are used as an alternative to lavenders and baby’s breath. The trachelium flowers are not outspoken or distracting. So if you’re looking to complement larger and vibrant flowers, the Trachelium is a perfect solution. These flower clusters are fluffy and have a cloud-like appearance. If you’re looking to use something alongside white peonies and roses, you can use the White Trachelium variety. They add a romantic feel and softness to the bridal bouquet. Green Trachelium is used commonly with dahlias, tulips, and daisies in warm colors. Red, orange, pinks, burgundy and blue flowers are emphasized by green trachelium. They are a filler element and add depth to the bouquet. In this sense, they are instrumental. 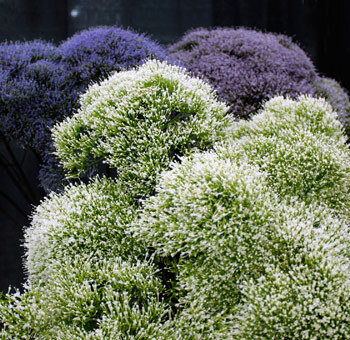 The trachelium’s shape and size also make them useful in giving some variety and balance in a bouquet. Using Purple Trachelium flowers with carnations indifferent colors will be amazing to look at. The Blue Trachelium is also another variety to use. 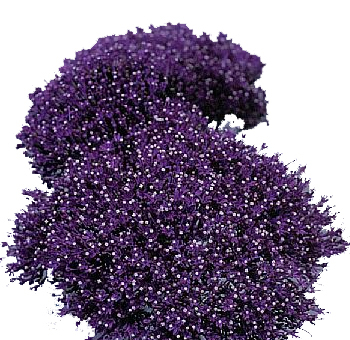 You can even use several clusters of white and purple Trachelium together. They will look soft and inviting. If you’re looking for the right flowers to complement a bouquet, the Trachelium is the answer. You'll find them at many florists. But if you're looking for high-quality flowers, you should try Whole Blossoms. They cater to weddings and homes 24/7. Their flowers can be ordered online, and they provide guidance on the best time to order. Try your hand at creating the best bridal bouquet with these Trachelium flowers! You might not always notice them, but they will make your bouquet beautiful anyway.